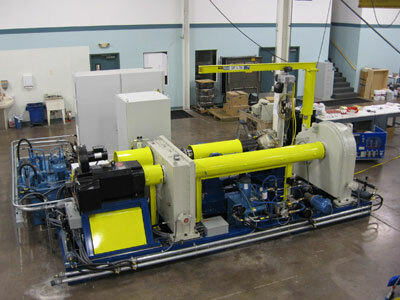 Test Logic designs and manufacture gearbox and transmission test stands for helicopter, turboprop, and land vehicles. 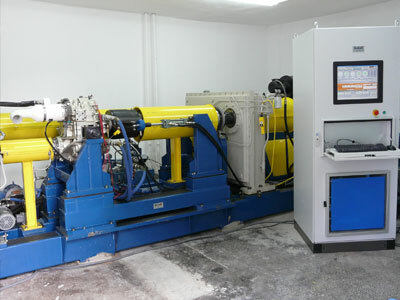 When asked to supply a test stand suitable for testing GE CT7-9C engines reduction gearboxes, Test Logic came through. 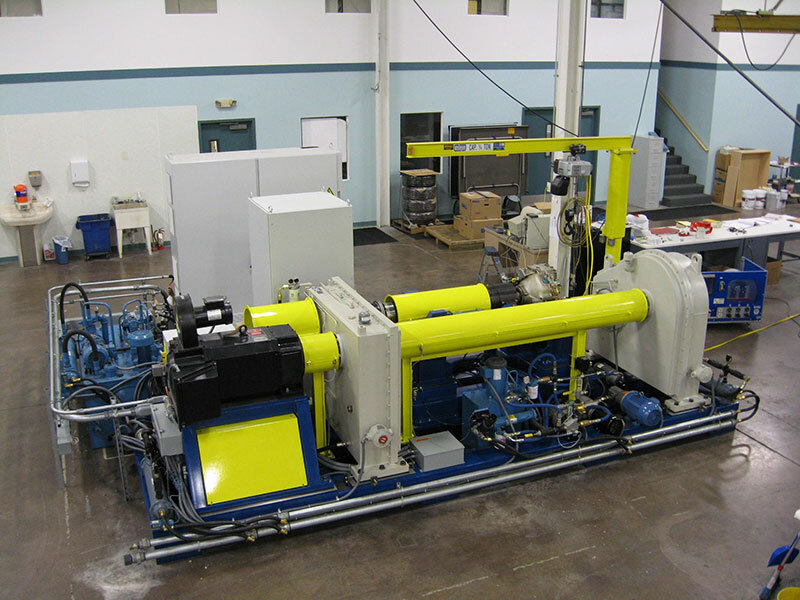 We designed and manufactured a test stand that used the four-square, closed loop, loading principle. 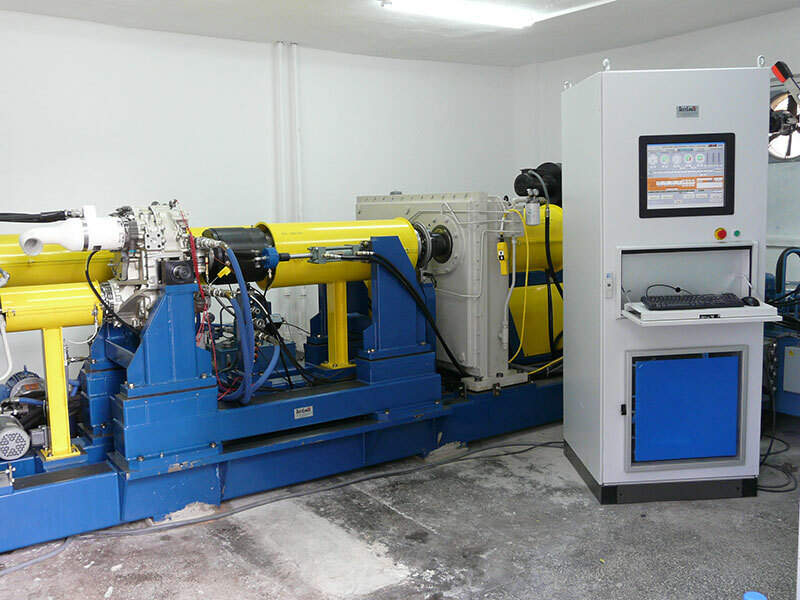 In addition, the input of the test gearbox was arranged with an axial loading fixture that applies load to simulate propeller thrust and 'P' moment under full speed and load conditions. This fixture incorporated a thrust bearing and provided a fully modulating measured force of 0 to 6000 pounds for thrust and 4000 pounds for 'P' moment.